A few weeks ago I asked the ABCJLM family how I could best serve their families. Several of the families who have been with ABCJLM for a while, asked for curriculum for their older children. 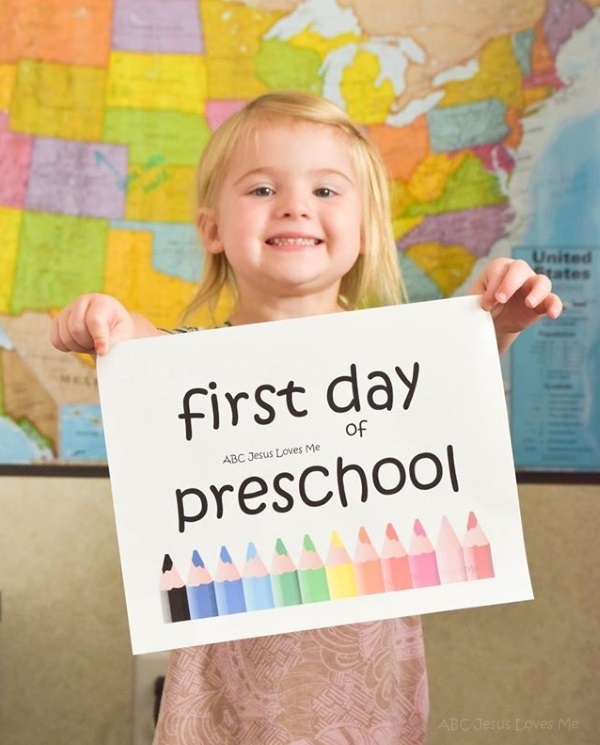 They have loved using ABCJLM with their preschoolers but they want more for their elementary-age children. 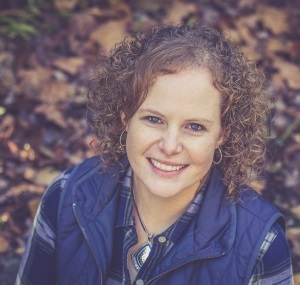 As I prayed about it, the Armor of God was one of the first topics that came to mine. 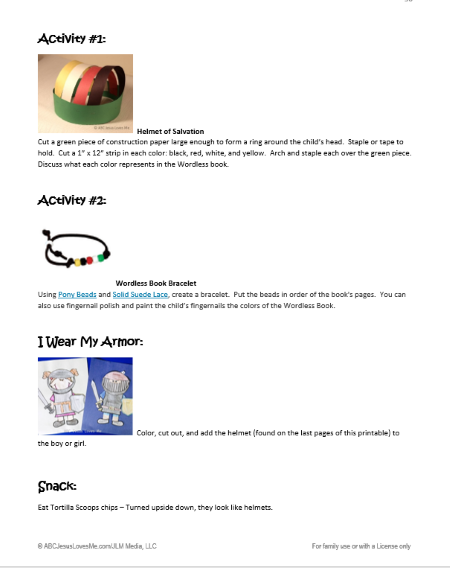 So I began brainstorming and a new Unit Study was created! If you have done the Christmas, Easter, and Thanksgiving Activity Workbooks that are free to all our blog subscribers, you are familiar with Unit Studies. Unit studies are smaller curriculum that typically focus on one topic at a time. They use many subject areas to teach the same concept (science, reading, math, etc.). In the case of the brand new Armor of God Unit Study, there are nine lessons focusing on the Armor of God. 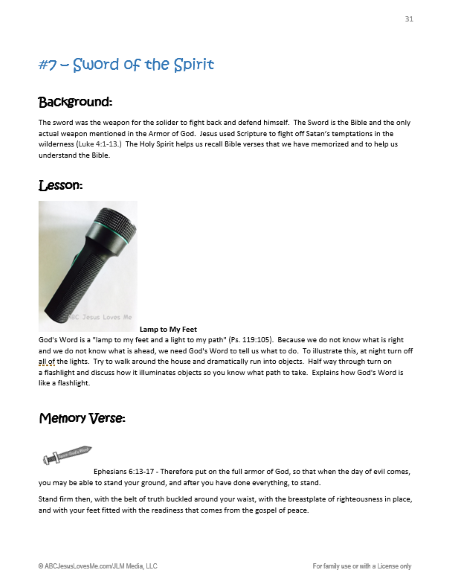 Included in the 47 page, digital download is the Scope and Sequence which provides a layout of what and how to teach, and the activities that reinforce the lesson. Nine Lesson Plans include background information for the adult, a lesson, a memory verse, a song, and activities to do with child. A snack ideas is also included to further learning. 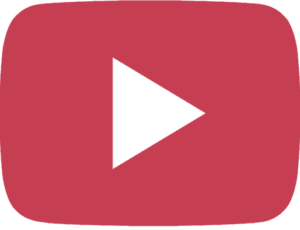 The craft ideas are simple to do and require basic household items and kitchen ingredients. 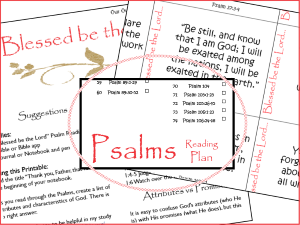 All printables are included in the download. Who Can Use this Unit Study? Written for children ages 5-10, both boys and girls can learn about the God-given armor and how to use it when confronted with the lies and temptation of the enemy. Throughout the study, the child will create a boy or girl soldier. 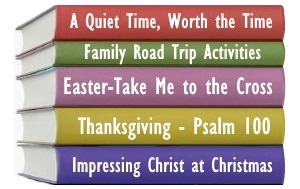 This $10.00 study could be used for family devos 0r as a summer curriculum. Churches could use it for a Sunday School or Wednesday night curriculum for their early elementary aged kiddos. License prices begin at $12.00. How Does this Compare to the ABCJLM Curriculum? The Bible is clear that an invisible battle is taking place around us. Instead of being afraid, we need to teach children to stand guard. Instead of coming up with fleshly solutions, we can put on the full armor of God. 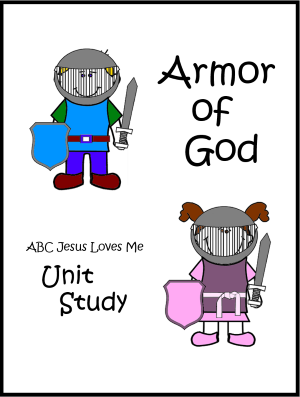 The ABCJLM Armor of God Unit Study was created to empower you to teach preschool and elementary-aged children the weapons God has provided His children and how to use them. Be sure to share this with your Sunday School leaders and friends with elementary-aged children! Together, let’s teach our children to stand. 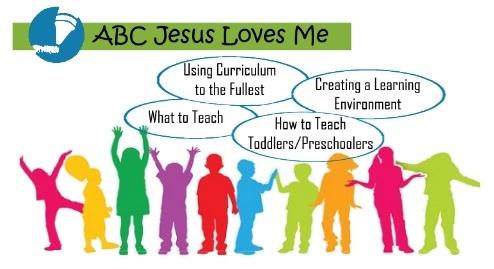 Want to get the most out of the ABCJesusLovesMe Curriculum and Unit Studies? Bring your spouse and friends and join us September 8 and 9th in Northwest Arkansas for the ABCJLM Conference.